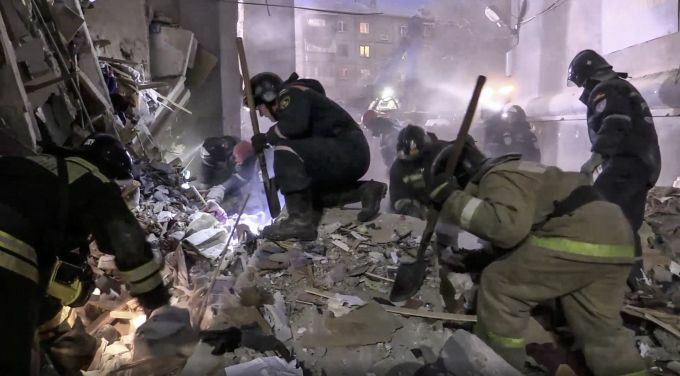 Magnitigorsk : This photo provided by the Russian Emergency Situations Ministry taken from tv footage shows Emergency Situations employees work at the scene of a collapsed section of an apartment building, in Magnitigorsk, a city of 400,000 about 1,400 kilometers (870 miles) southeast of Moscow, Russia, Wednesday, Jan. 2, 2019. Search crews have pulled more bodies from a huge pile of rubble at a collapsed Russian apartment building. Jabalpur: Madhya Pradesh Finance Minister Tarun Bhanot being weighed against coins, to donate in 'Jan Aabhar Rally' in Jabalpur, Wednesday, Jan 2, 2019. 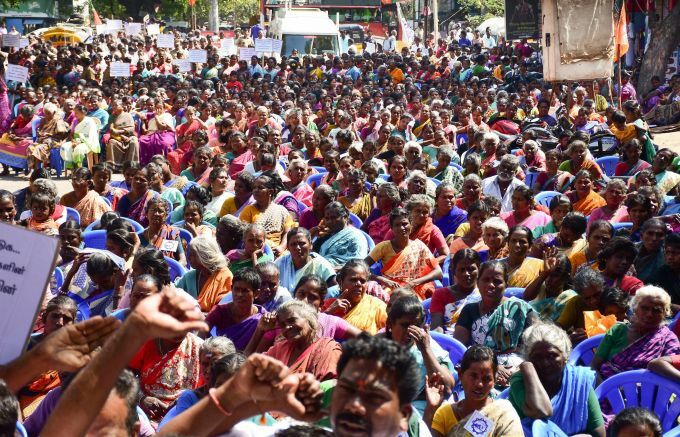 Madurai: Members of BJP party cadres staging a protest seeking to re-open granite quarries at Anna Nagar in Madurai, Wednesday, Jan 2, 2019. Pune: Ernests Gulbis, World No. 95, celebrates after defeating second-seed Hyeon Chung to progress to the Quarter-Finals of the singles competition on the third day of the Tata Open, in Pune, Wednesday, Jan 02, 2019. 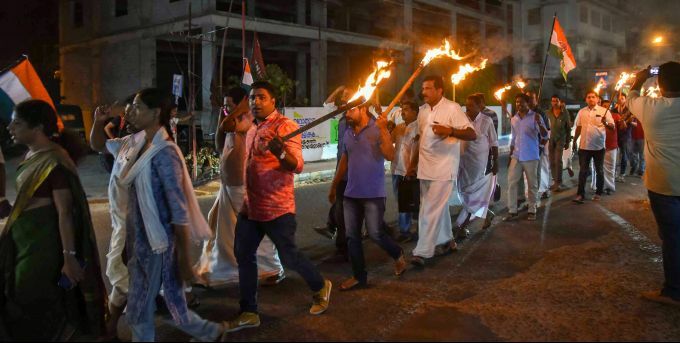 Kochi: Congress workers hold a rally after women entered Sabarimala temple, in Kochi, Jan 02, 2019, The Sabarimala temple was shut down for ritual "purification" briefly after the two women entered the shrine. 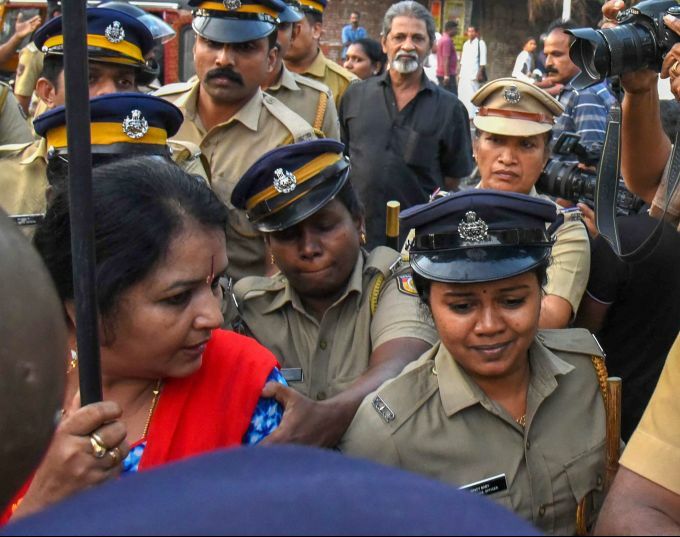 Kochi: Police arrest BJP workers in connection with a protest of Sabarimala women entering, in Kochi, Wednesday, Jan 02, 2019. The Sabarimala temple shut down for ritual "purification" briefly after the two women entered the shrine.